When you go through this process, click on checkboxes and fill in the empty fields. You will get an estimate of the guide fee prior to making the order. Or simply choose a guide type to find out more about it. A guide that is supported on the bone (mucosal flap required to seat guide). Things to confirm with your intraoral scan before submission. If we have prosthetic information for your final restoration, we can produce a better implant plan. 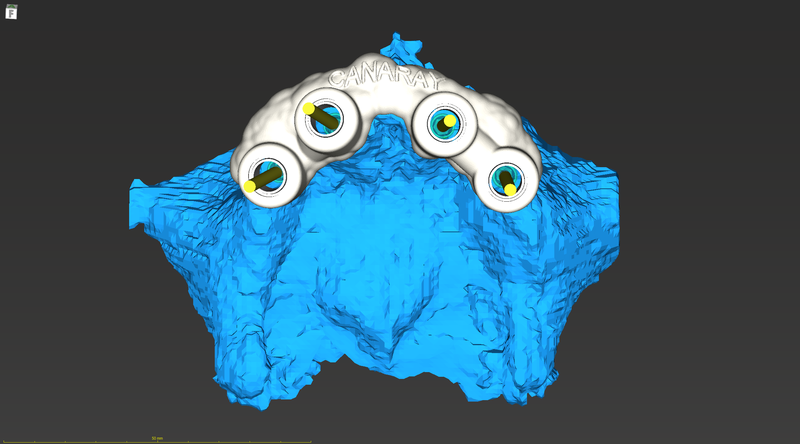 Edentulous Follow the dual scan protocol for the mucosa-supported guides so that you can position your implants relative to the existing denture. Dual scan with denture + markers, following protocol for mucosa-supported guide. It is not necessary to have a perfect plan at this stage, just a rough idea of where you would like to place some implants, and what you have in mind for this case. Please choose some implants to continue. We cannot give you an estimate without knowing how many implants you estimate to include in the guide. Guided surgery requires its own instrumentation in order to allow the drills to account for the thickness of the guide. If you have your own guided surgery kit, let us know which one it is. If you don't have a kit, use our universal kit for the first few drills and finalize the osteotomy freehand with your regular implant drill. Please choose at least one type of instrumentation in order to get a fee estimate. Scroll down after choosing your instrumentation. Here is an estimate of the fee for this guide, based on the information you have provided so far. Please select your shipping option. If you would like a bone reduction guide in addition to your bone-supported guide, there is an additional charge of $200. 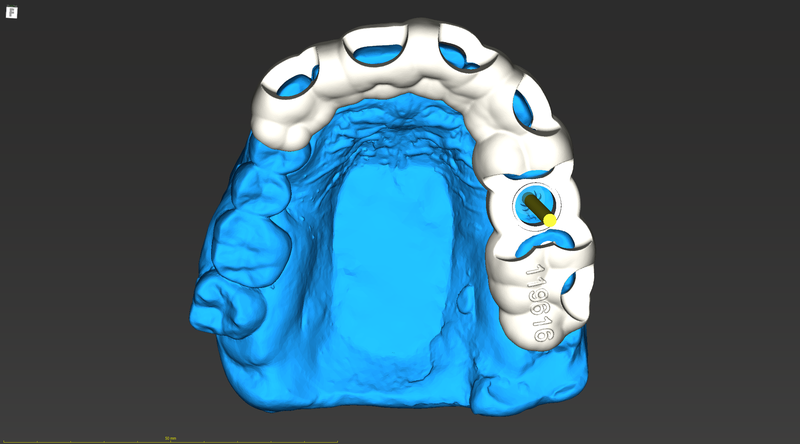 Bone reduction guides are not mandatory, but can provide a controlled method of flattening the residual ridge. Payment will be required as part of the guide approval process. After planning, you will receive an email with the final implant positions. At this stage, you will approve the plan and pay for the guide online. Guides will no longer be shipped prior to receipt of payment. Ready to make a guide order? You only have to do this once. Next time, you can just follow the link in the introductory email that you will receive from us and all your information and implant preferences will already be prefilled. Okay, last thing: the patient details. Also, do we need to rush this for a looming deadline? Is there already a surgery date? Any other specifics to add? The case has been successfully initialized. Check your email for details that will allow to manage this case and also let you skip all of the details for the next case. 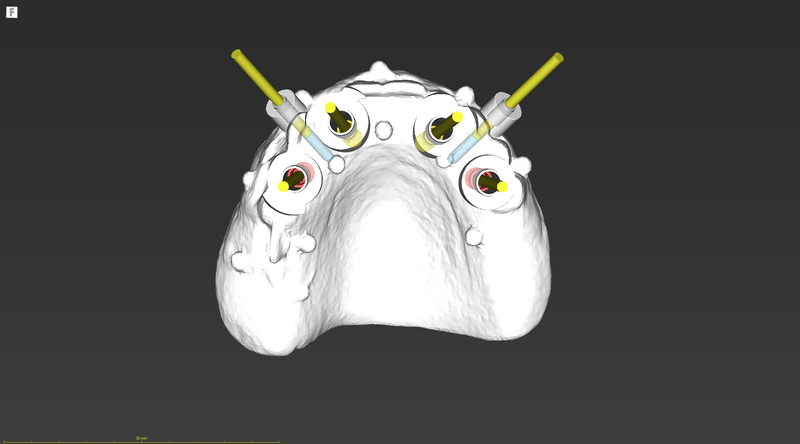 Now, you can upload the patient's CBCT to us (zipped .dcm files, please ...not the automatic viewers made by Sirona, Anatomage, etc. ), or mail us the models/impression/data CD. Do not mail anything collect. We will bill you for it. Please carefully package your stone models. Use foam or bubble wrap. Do not wrap models in tissue, as this is a recipe for a cracked/broken model. If sending a CD/USB, make sure it is just DICOM (.dcm) data straight from the CT scanner. DO NOT send CDs made with InVivo Anatomage or the automatic CD burning button on Sirona scanners.